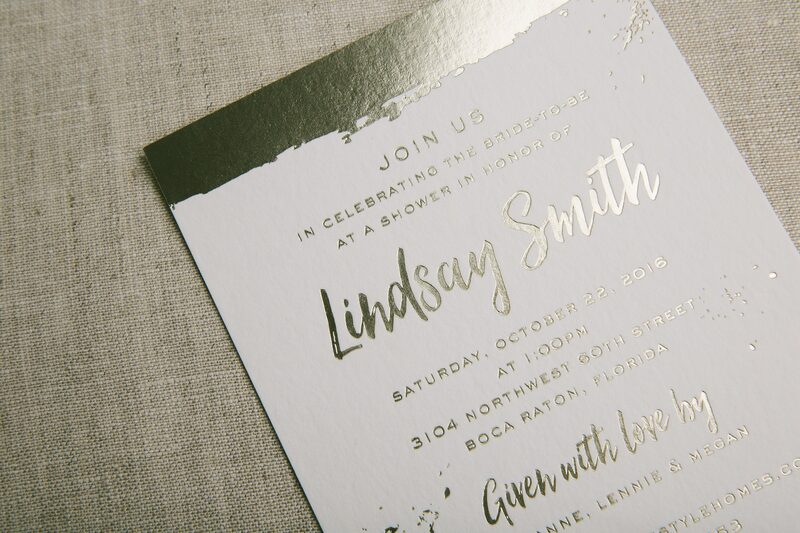 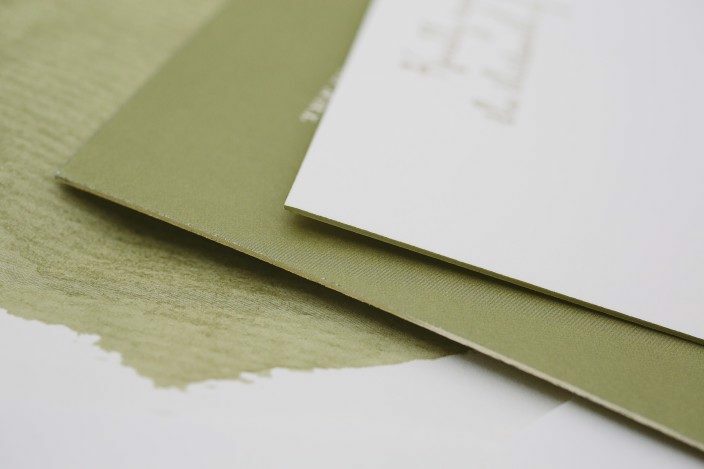 We worked with Danielle at Creative Touch to create these contemporary bridal shower invitations for Lindsay. 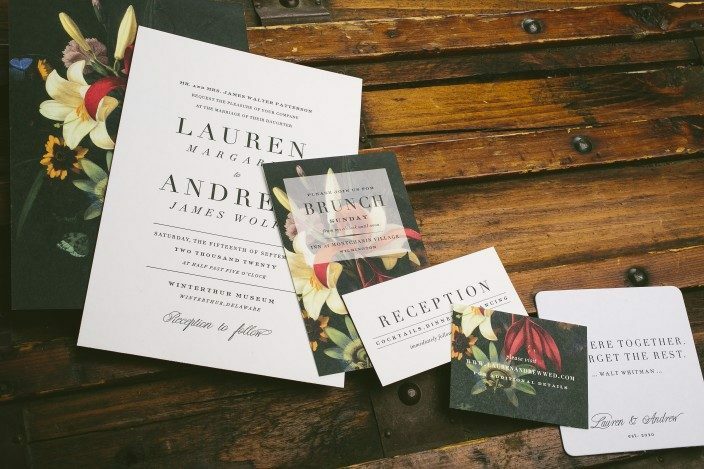 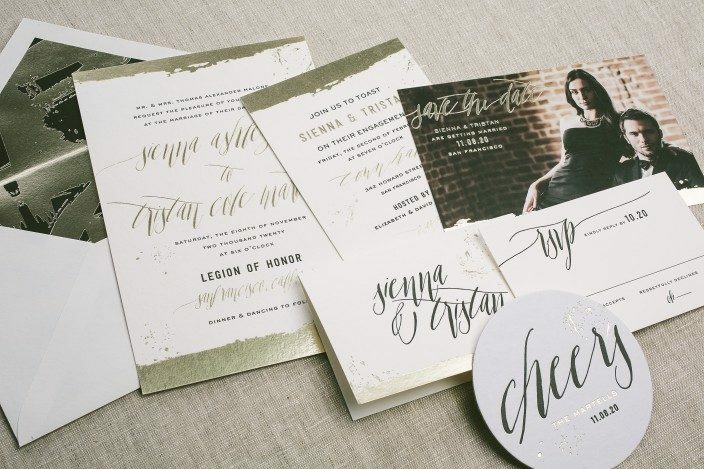 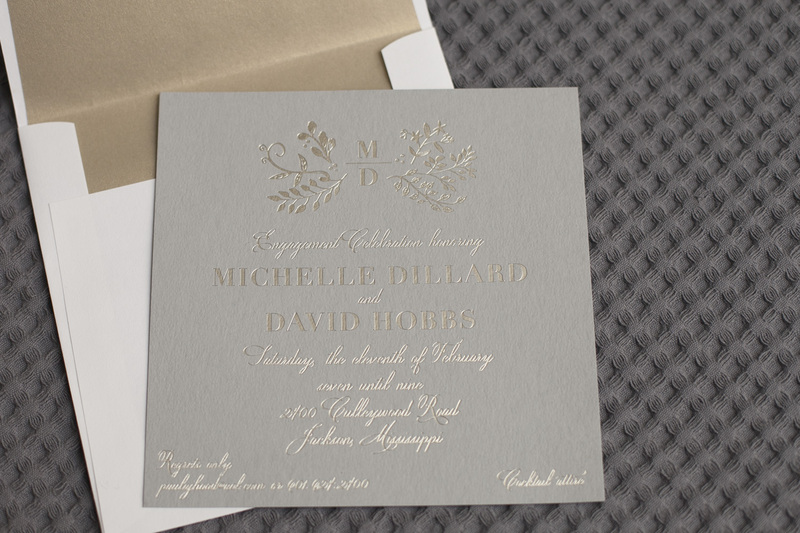 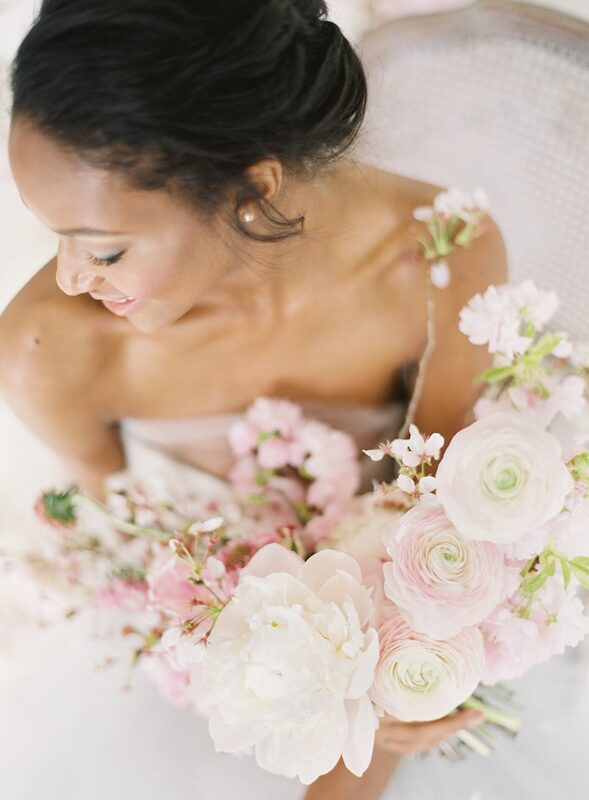 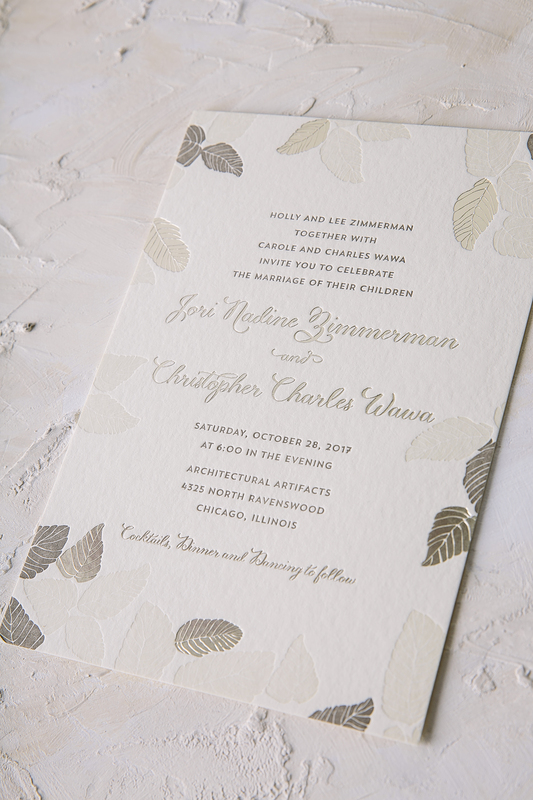 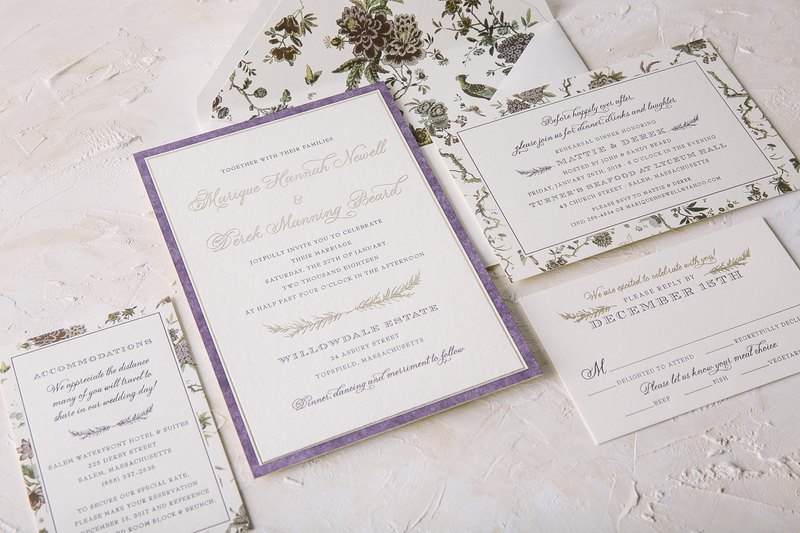 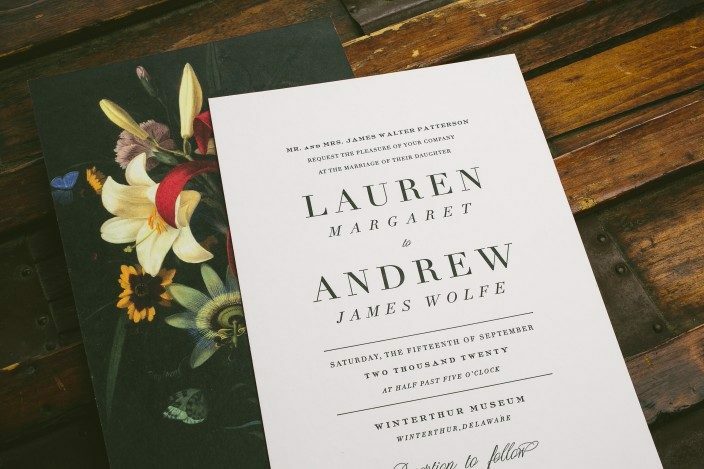 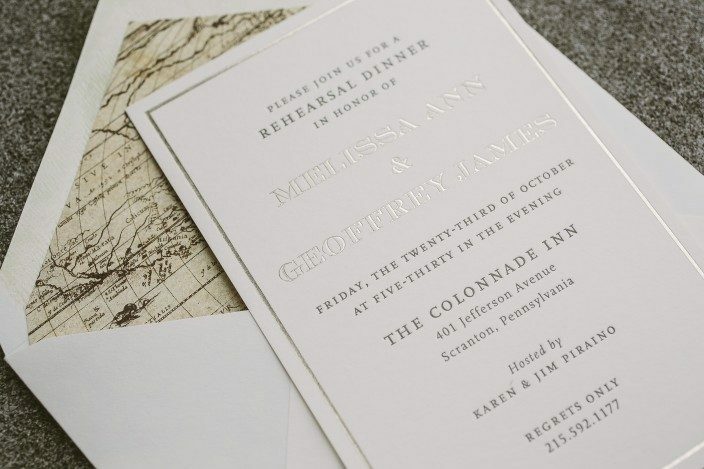 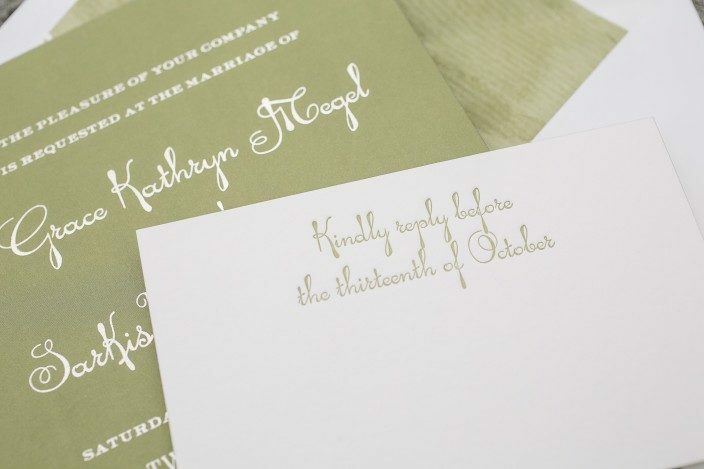 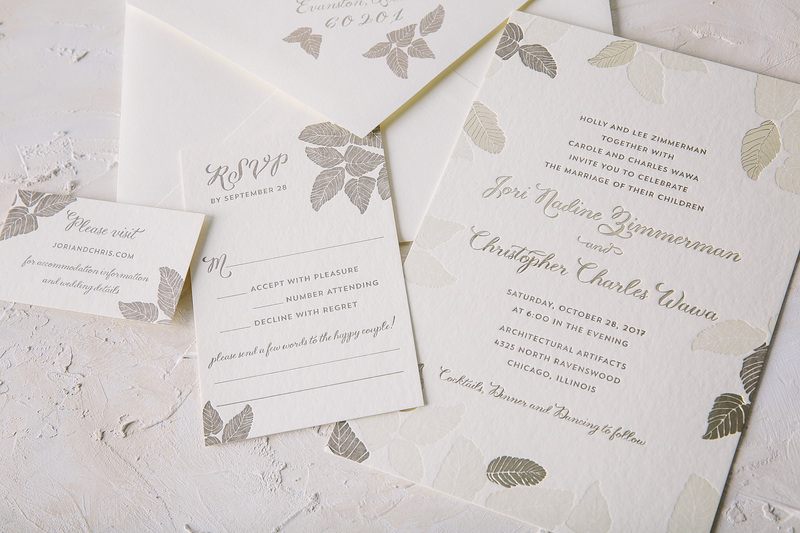 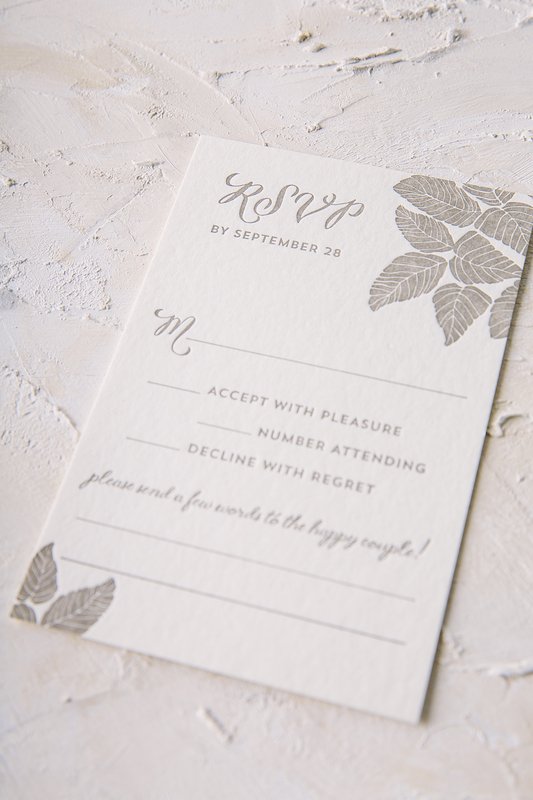 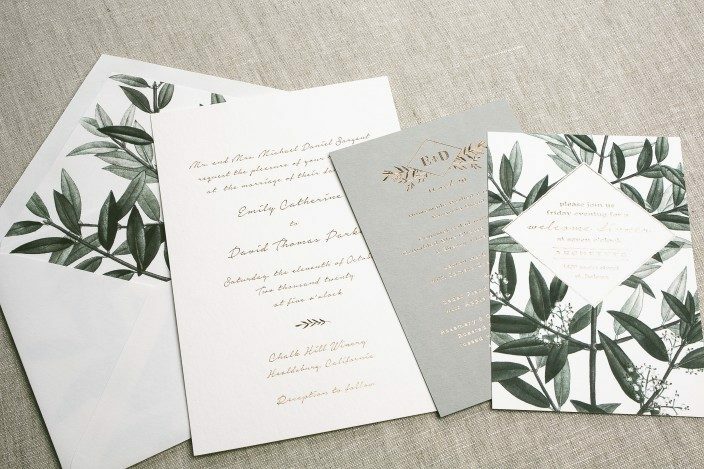 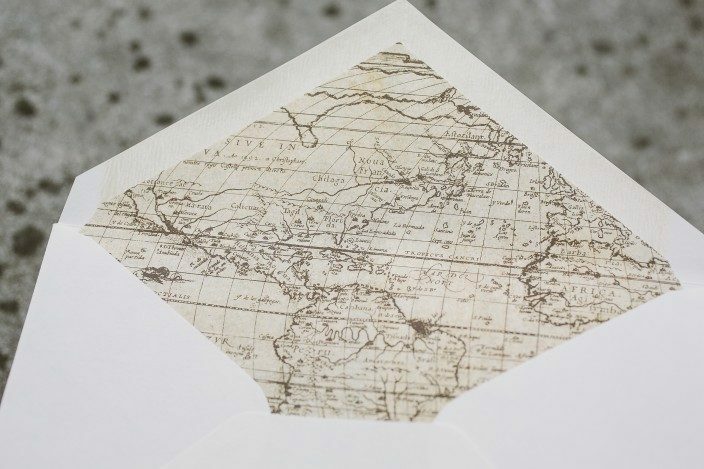 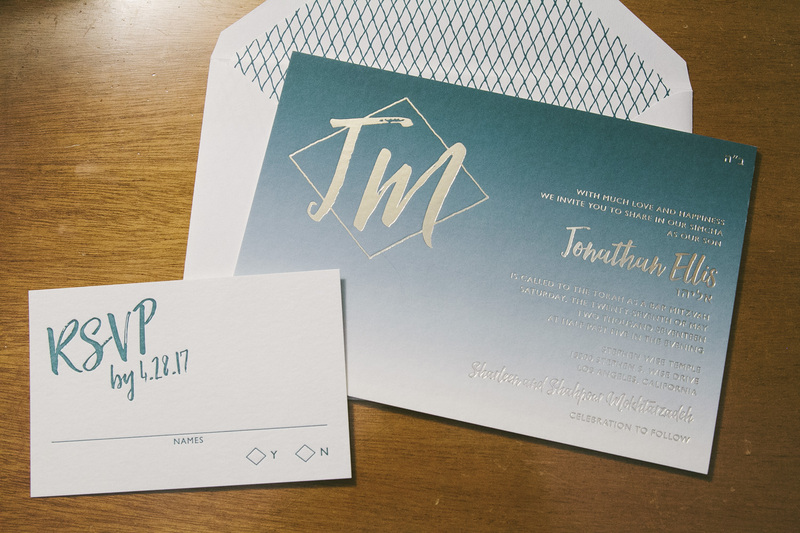 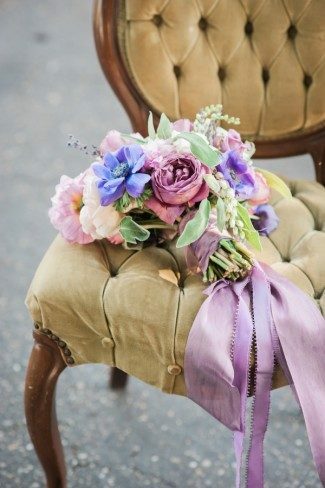 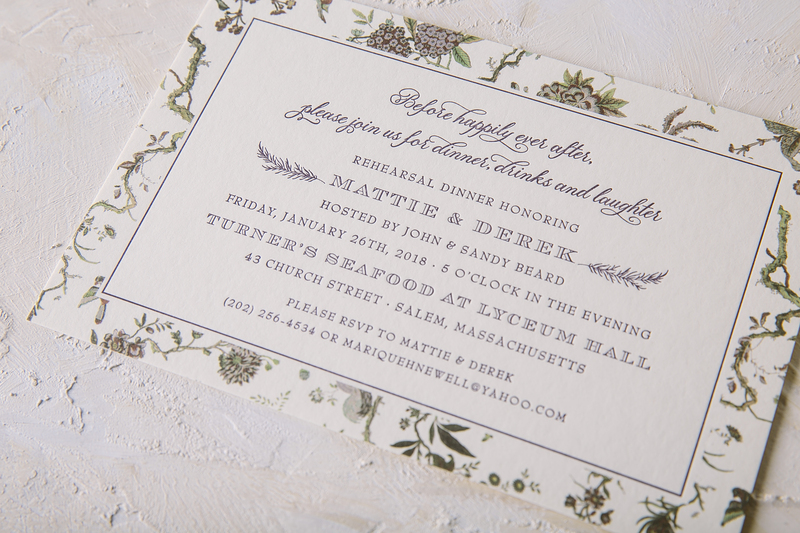 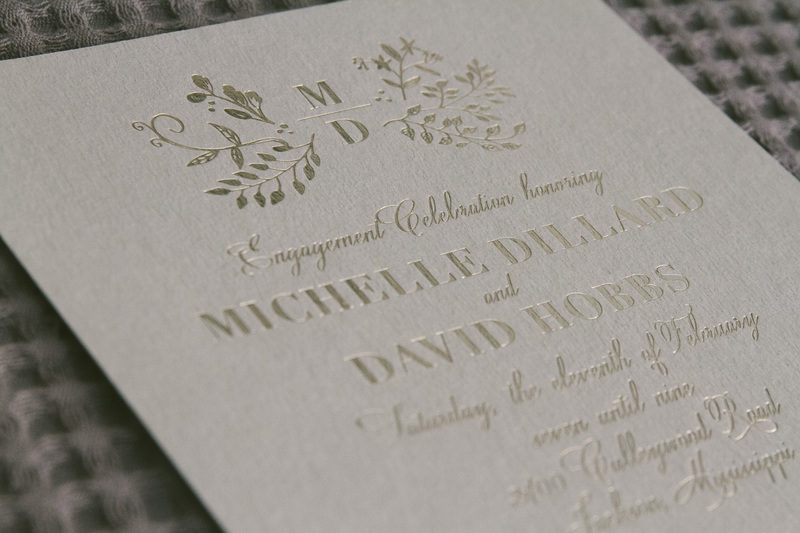 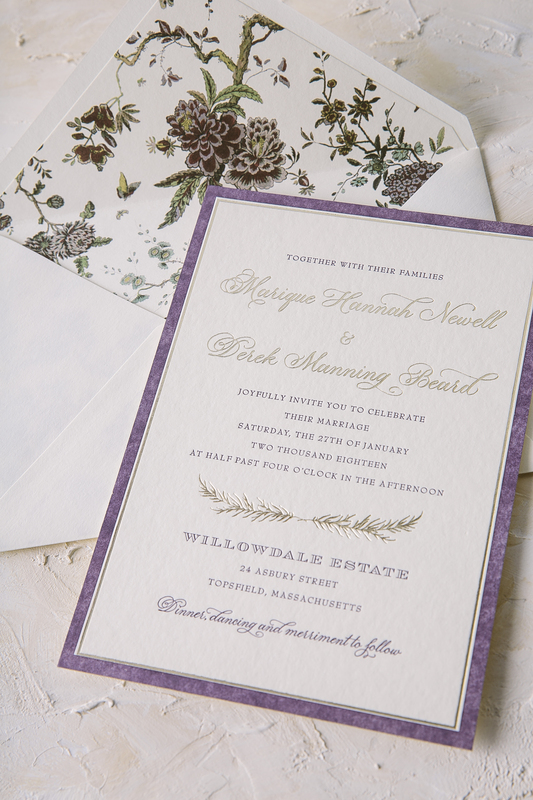 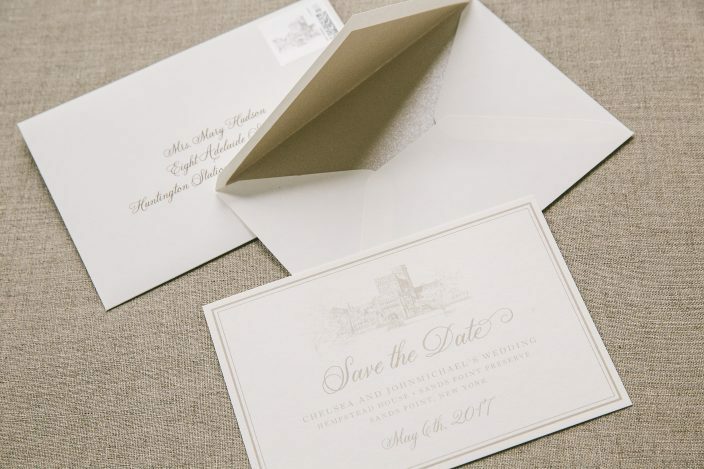 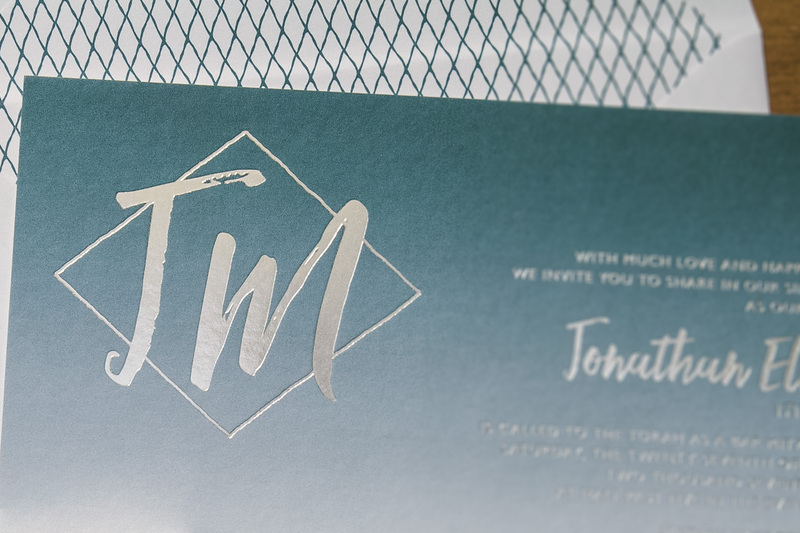 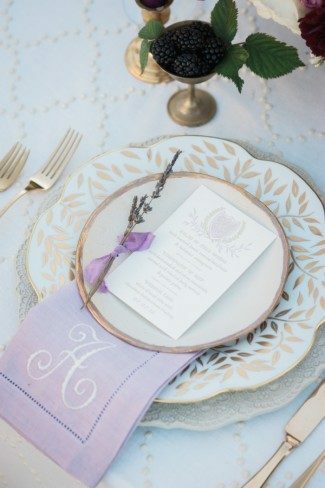 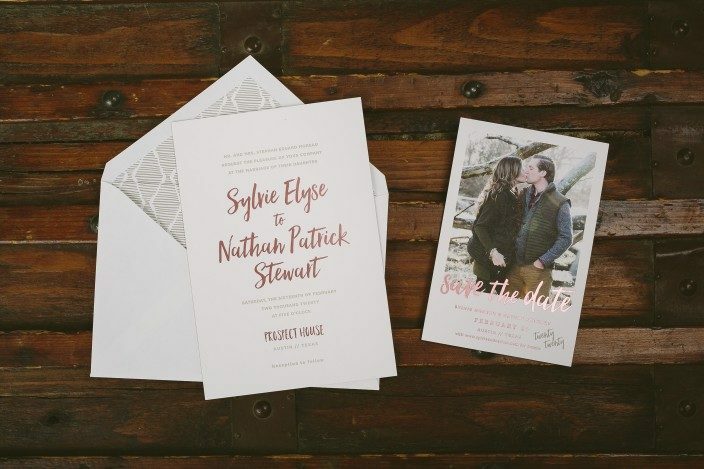 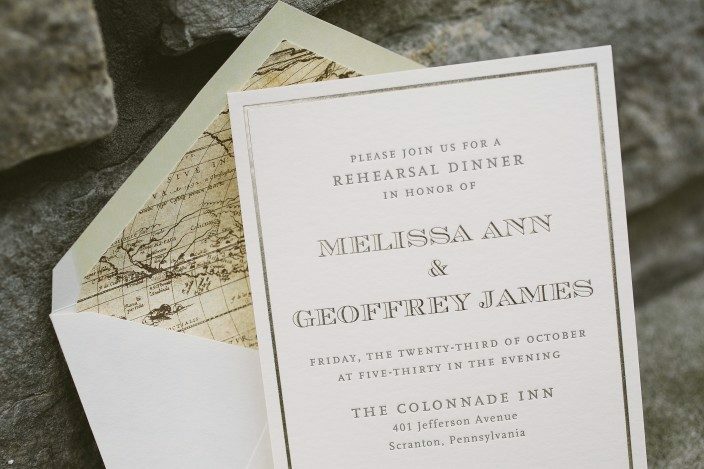 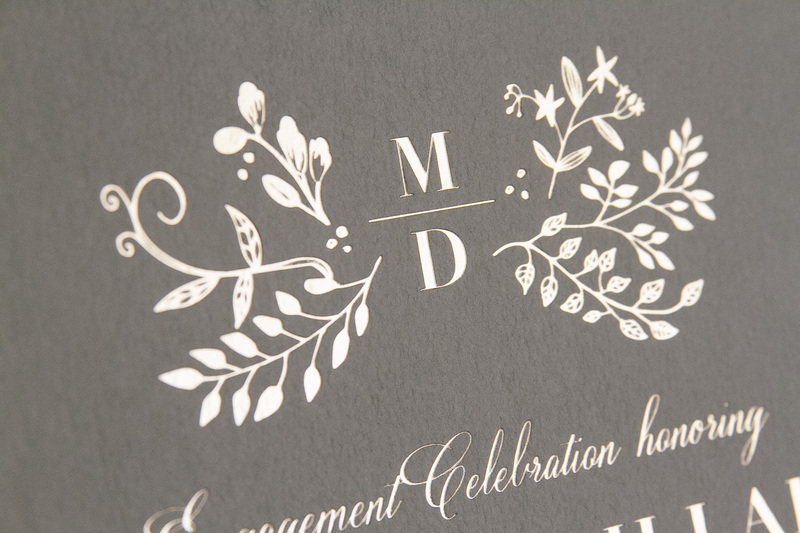 This statement-maker was printed in tawny matte foil accented with modern brushstrokes. 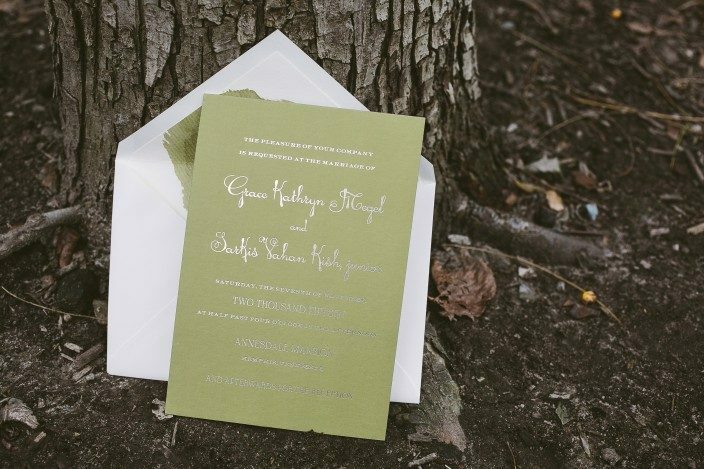 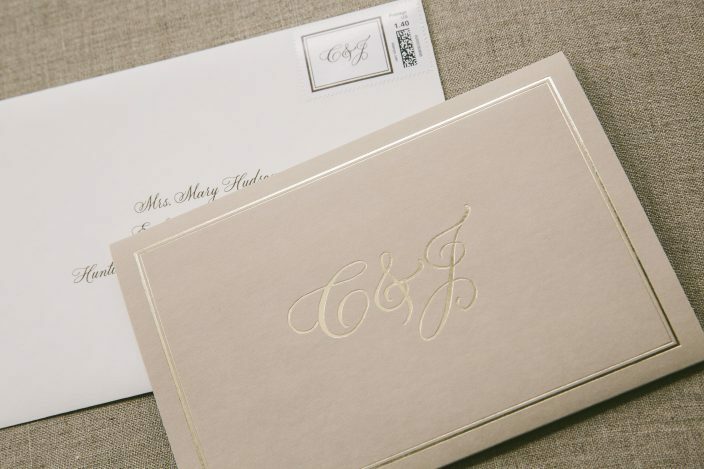 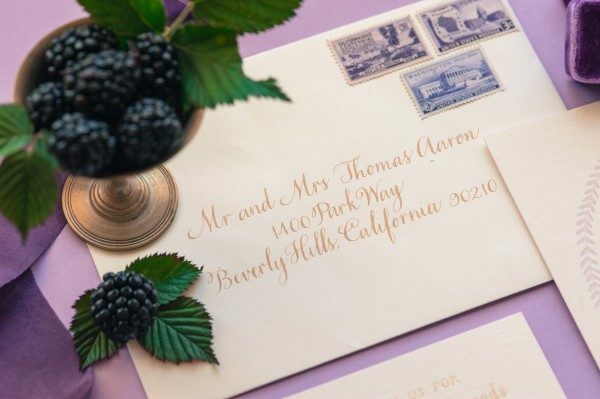 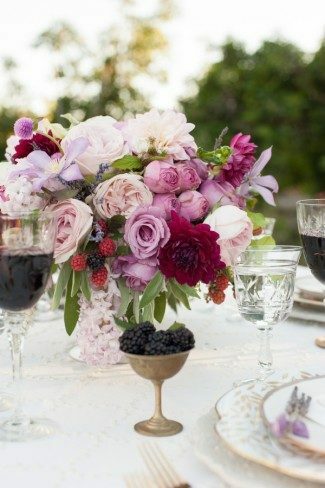 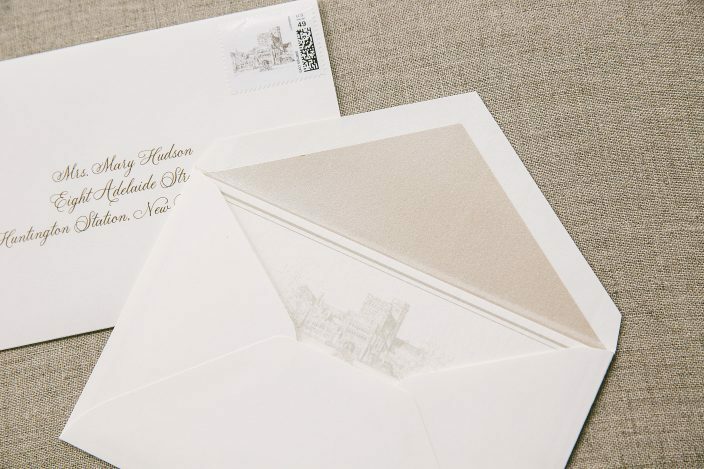 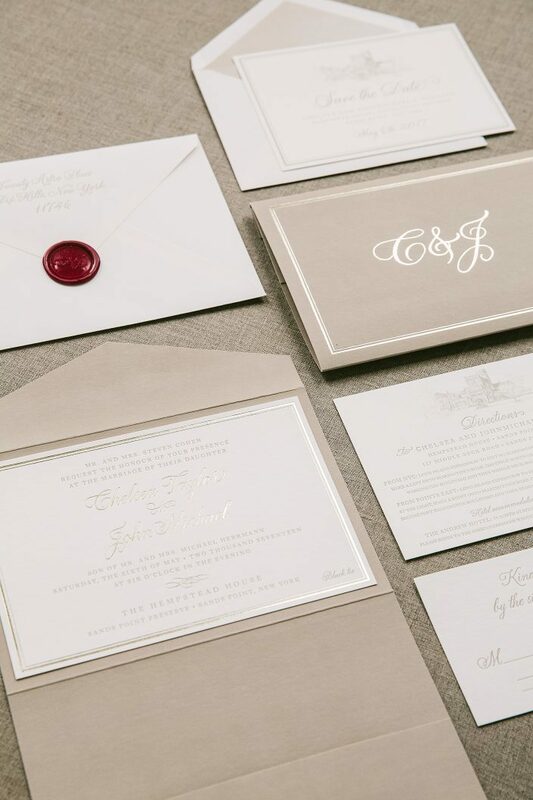 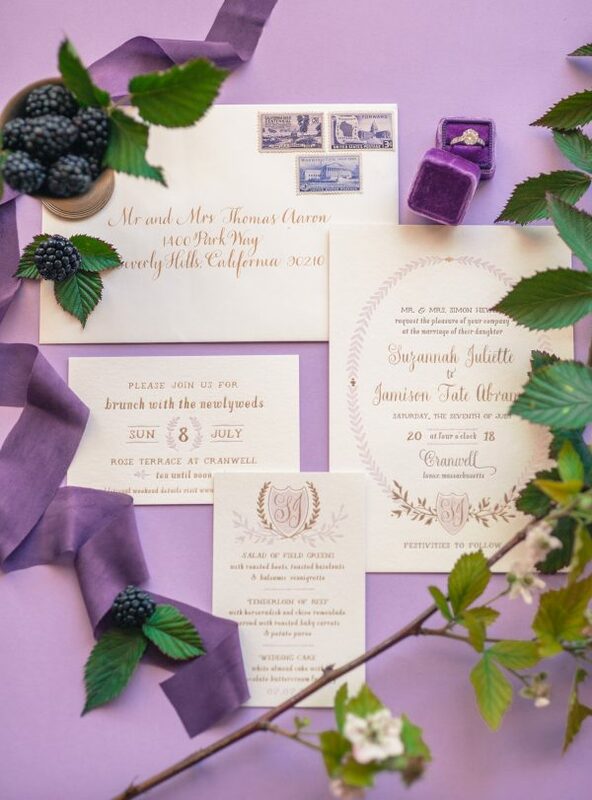 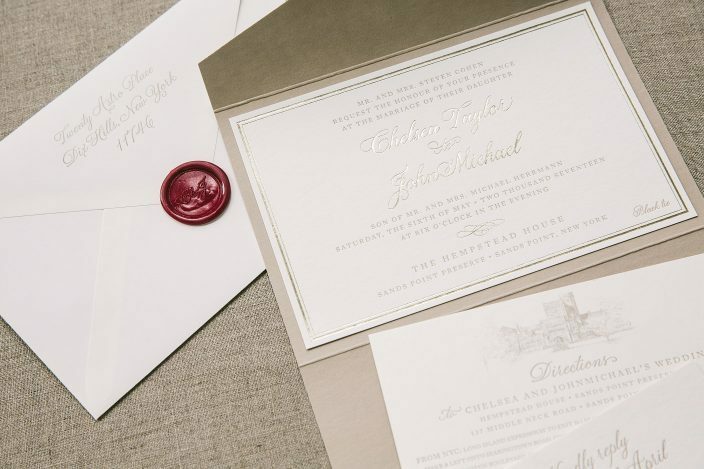 They decided to pair the invitation with a vibrant envelope liner to add a pop of color to this chic set. 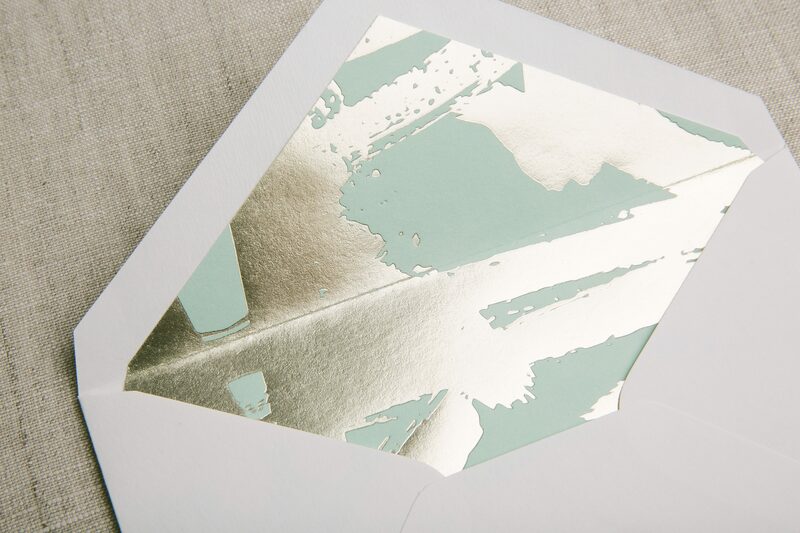 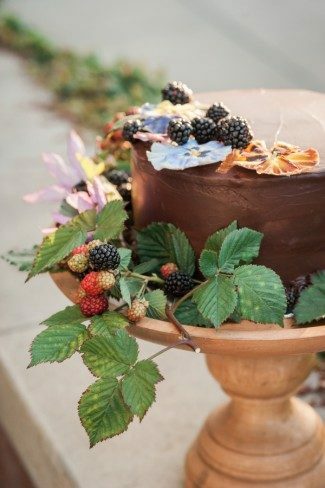 The shimmer background against this painterly foil pattern gives the liner that wow factor. 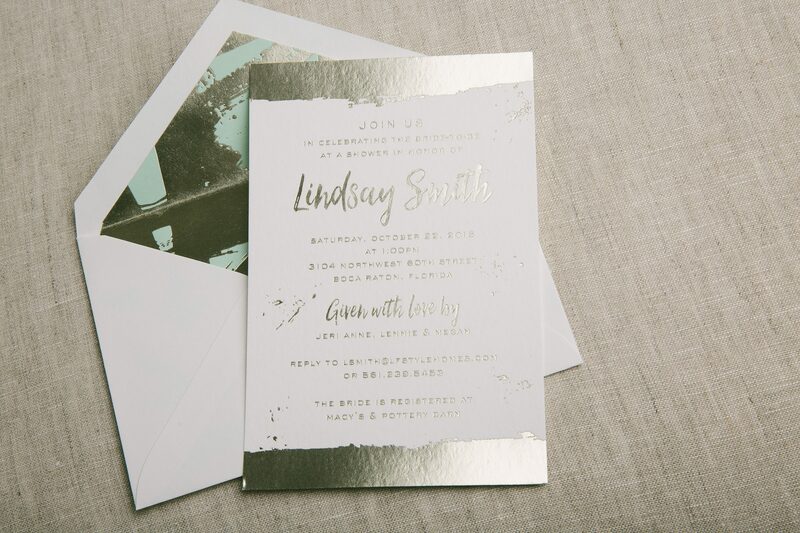 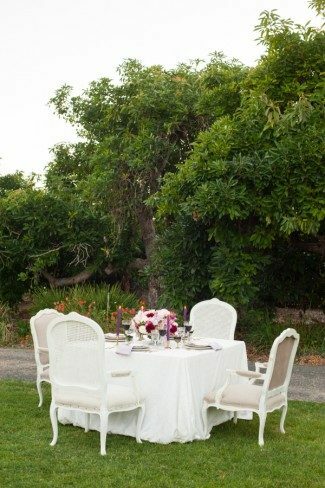 Look out Boca Raton — our Lennon design has never looked better thanks to this bold customization!